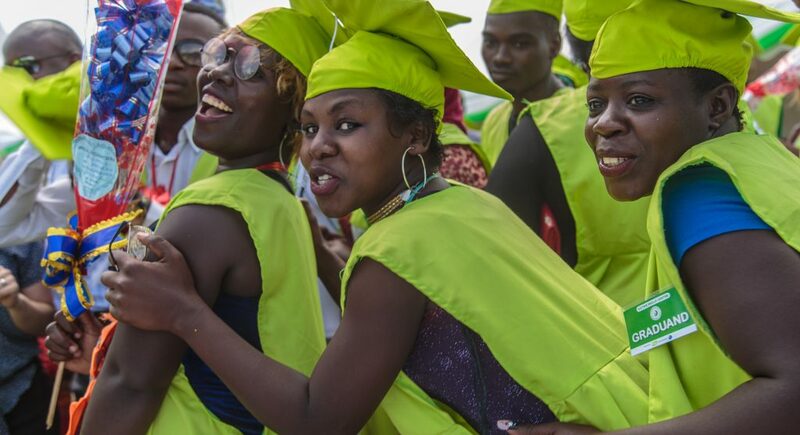 Joy has no boundaries after 95 students from Katwe’s Skill Center receive their graduation certificates. The air around the dusty field in the thick of Katwe’s slum area is bursting with excitement. 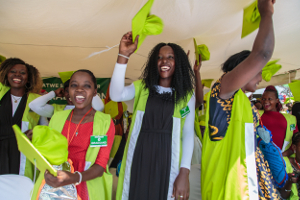 White tents have been raised for a crowd of hundreds of viewers, including the 95 graduates from Katwe’s Skills Center. They have completed their yearlong courses in photography, electronics and hairdressing, and are today dressed in their finest wear, including yellow robes and graduation hats. Finn Church Aid, The Finnish Ministry for Foreign Affairs and Muslim Youth Development Forum have supported their studies. Representatives from the local police authorities are also present to witness the students’ big day. “This is sending everyone a message not to judge a community as a whole before you give them an alternative way of life”, says Ahmed Hadji, Team leader of the Muslim Youth Development Forum. Katwe is Uganda’s biggest slum area and widely known as a notorious haven for criminality, prostitution and recruitment of extremist groups. The reputation labels the community as a whole. 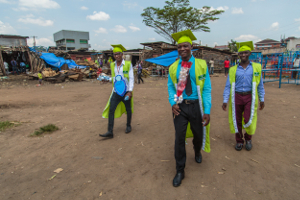 Kaweesi Ramadan, 22, (middle) says that from this day on, he is going to walk proudly on the streets of Katwe to show an example to other youth of what they can become. he never had the chance to go to school, but also because he grew up in Katwe. His upbringing already deters employers. “I had to do things that people do when there is nothing else. I stole people’s phones and used drugs”, Ramadan says. Ramadan was at rock bottom when community leaders approached him about the training. He managed to leave his former life behind and powered through a yearlong education, specialising in electronics. Project administrator Diana Akunda explains that the project also aims to connect the students with officials and police with the intention of letting them understand that change is possible. “We invited local authorities on Friday sessions to witness the progress and at least make sure that they remember the faces of these youth who are determined to earn a living through work”, she says. The training requires a lot of discipline from youth who never went to school, and who have to wait to earn money until after the training is completed. Nambalirwa Babirye, 22, says she was extremely shy when she joined, but after finishing her training as a hairdresser, she feels more comfortable socially. Nambalirwa Babirye, 22, (middle) celebrates becoming a hairdresser. Her dream is to start a saloon for celebrities. “I grew up with a single-mom and had to quit school after the first grade because she could not afford it. I am so excited about finally learning skills that I already started teaching children what I know”, she says. Ramadan has learnt to repair electronics and create innovative technical solutions in an environment where creativity is much needed due to the lack of money. At the graduation event, another student displays a fully working helicopter he’s built during the training. The photography students have also decorated the venue with breath taking pictures. Graduated electricians receive a toolkit worth 50 US dollars to help set up a business, while photographers and hairdressers are supported in establishing studios, saloons and spas. “From this day, I will be walking proudly on the streets of Katwe to show what we all can become when given the chance to prove what we are capable of”, Ramadan says. After a round of musical performances and inspirational speeches, the student’s receive their diplomas and cut the graduation cakes. Plenty of flowers are handed out, and when the speakers start blasting hit music, all 95 students spontaneously start dancing and singing along. The atmosphere is electric. “This is the first time they celebrate something. There’s been years of negative attention for them, but now it is positive. I am so excited about this”, Hadji says.